Although Wayne’s not shy at all about a cocktail or a beer, he never drinks on the day before a run of shows. Whether one or five in a row, he foregoes his favorite spirit or glass of wine at least 36 hours before he goes on stage. A much younger throat that didn’t have to sing the whole show was able to rebound from a party or two. But the current “vintage” throat needs a little more TLC. The rule is no alcohol prior to or in between shows. There was a time when guys used to think alcohol freed them up and made them play better. For the most part, they know better now. It might free up their brains to make them think they play better, but the tapes don’t lie. People pay good money to see Little River Band and hear their vocal power. Wayne never wants to let anyone down, including the band. However, on the last day of a run, he loves having a Jack Daniels neat for the last five minutes of the set. If I’m in the crowd, I’m happy to bring that to him onstage. If the crowd doesn’t like the music by that point in the show, a shot of JD won’t make a difference. I know for a fact that neither Mom nor Granny drank any whiskey, so Wayne has Daddy to thank for his love of Mom’s Bourbon Ball recipe. Mom made these every year at Christmas and I dust off the recipe during the holidays just for him. I truly believe Wayne could eat the whole batch at one sitting. I once overheard him describing them as a little cake doughnut hole, covered with powdered sugar, and loaded with Jack Daniels. Oh yeah, pass the Bourbon Balls please, quickly! Sift powdered sugar out on wax paper. Mix all ingredients together well in large bowl and roll into balls roughly the size of walnuts. 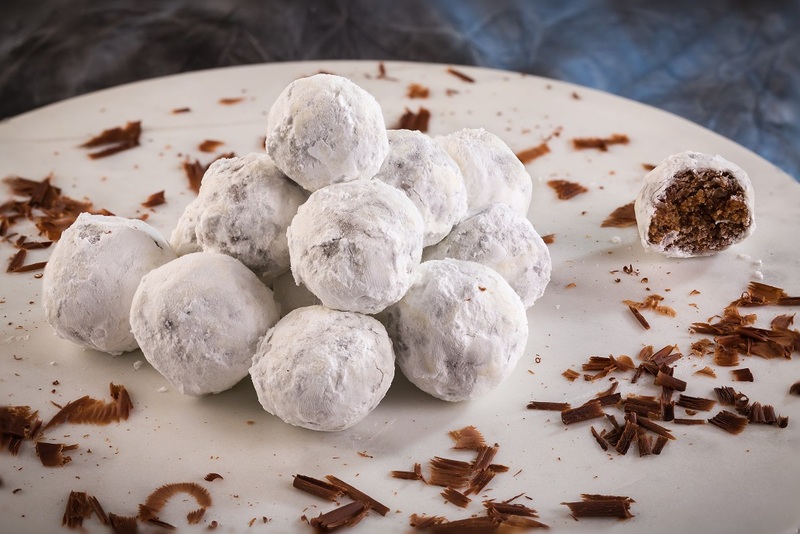 Roll each ball in the sifted powdered sugar. These are better if made well ahead of time and stored in a tightly-covered plastic or ceramic container in a cool place. Before serving it may be necessary to roll each ball again in powdered sugar.